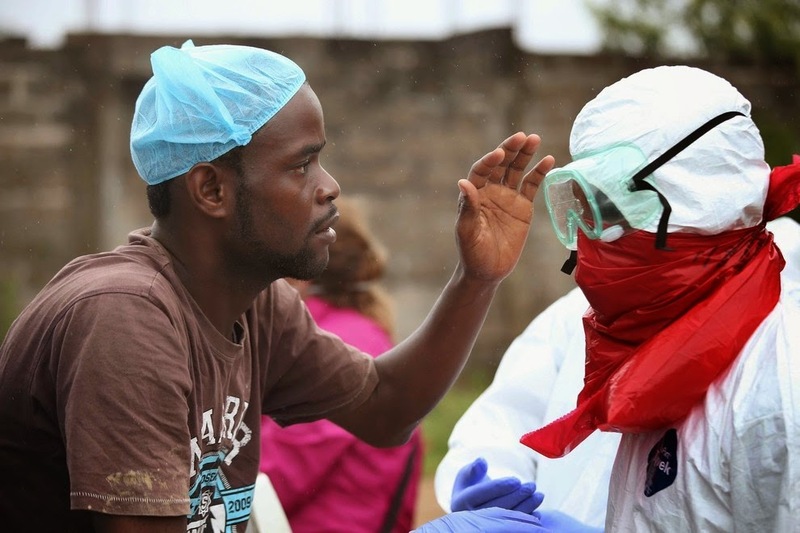 There are a lot of dangerous jobs in the Ebola hot zone right now, but the possible worse job would be that of handling the bodies of those that have just died. Despite the general recommendation to avoid touching people with the disease, these bodies do need to be handled in order to dispose of them without furthering the spread of the disease. And the only safe way to do that is by using plastics and polymeric materials to encase the corpse and protect the workers. A recent Buzzfeed article highlights the dangers faced. Just looking at the article's photograph shows that the PPE being used is all polymeric. Goggles with elastomeric straps, a Tyvek suit, a mocked up respirator and nitrile gloves are all polymers. The corpses are placed in polyethylene bags. It's hard to imagine how much worse the outbreak would be without all of those polymers. While single-use plastics are readily picked on by various advocates, their use is seldom challenged is healthcare, and this particular outbreak really emphasizes their need. Why is recycling plastics so confusing?